We gave you an "appetizer" of Burmese curry in our last issue of Chef Says. 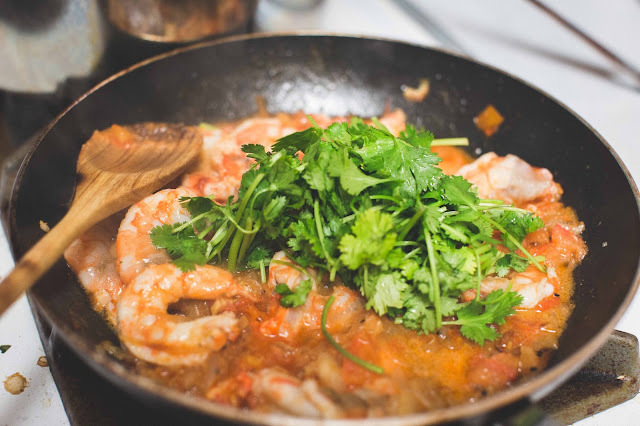 So without further adieu, here's how to make our own member Zaw's famous one-pot Burmese shrimp curry. Also, after this article, Midnight Rosewater will be on break for a while, as two of the members will be working hard to try to get their PhDs. We will keep you updated on when we will be coming back! Recap: What is Burmese Curry? When you think of curry, you probably think of Indian or Thai, and that's absolutely okay. Indian curry gets its taste from a special mixture of spices (called masala) including the one that gave this dish its name: curry powder. 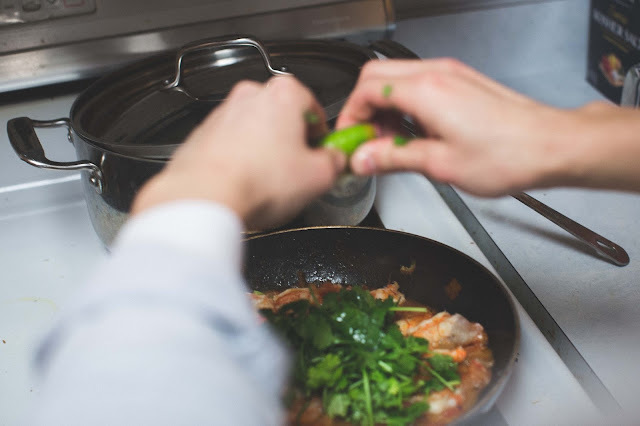 It is also the most influential type of curry, as it was spread throughout South Asia and Southeast Asia by Indian immigrants over the past several centuries. Thai curry expands on the Indian curry by adding locally grown ingredients and herbs, and one signature ingredient of Thai curry is coconut cream, which is the origin of the sweet flavor in Thai curry dishes. There's also Japanese curry, a lesser known type of curry. 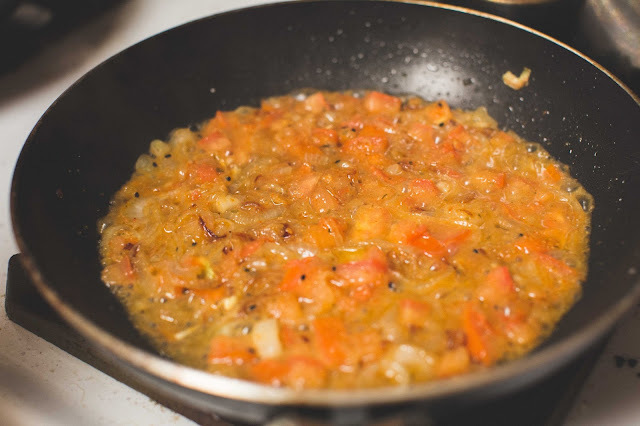 It expands on Indian curry by adding onions, carrots, and potatoes. It is similar to Indian curry, but less spicy. Annnnnd there's our Burmese curry. 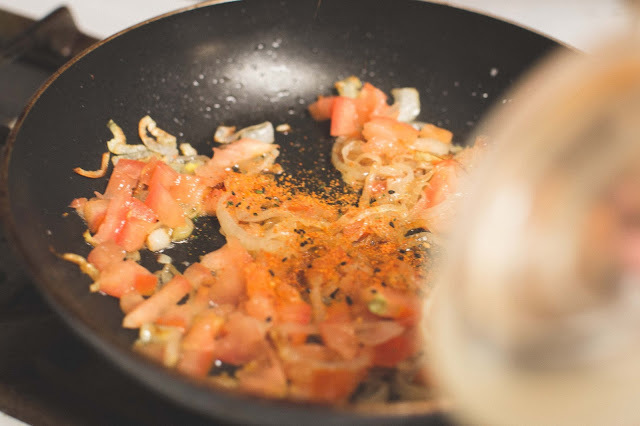 As we talked about in our last issue, it is an onion/oil based curry, missing the "key" curry ingredient: curry powder. 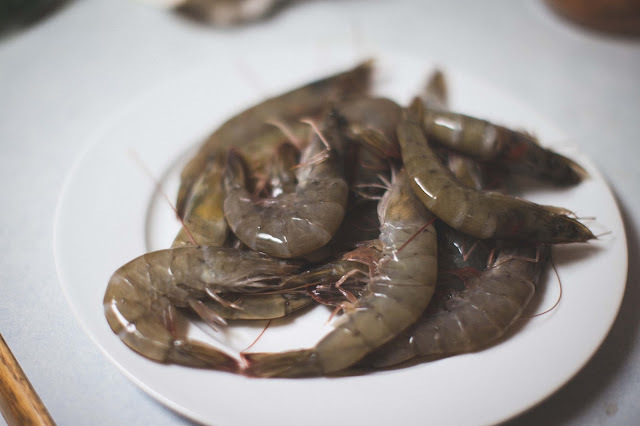 To compensate for the loss of flavors from the spices, the Burmese add fresh seafood ingredients, as seafood usually contains a good amount of natural umami flavor. 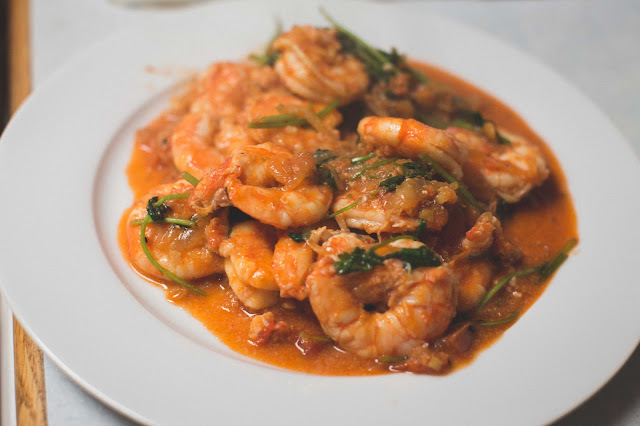 We will teach you a variation on the shrimp curry that is traditional in Burmese cuisine. 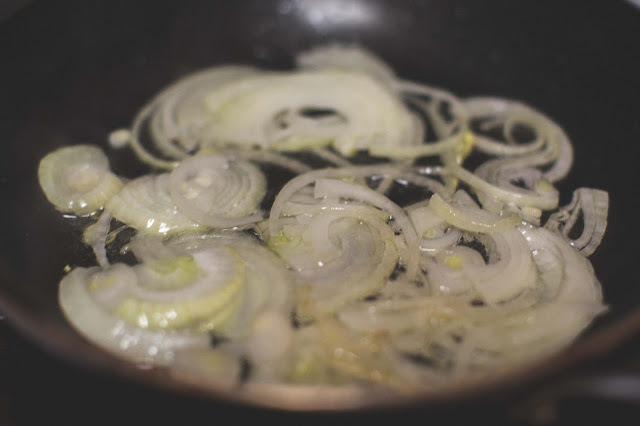 Onion: half of one medium sized, while or yellow, sliced/diced. Tomato: half of one medium sized, not too ripe. 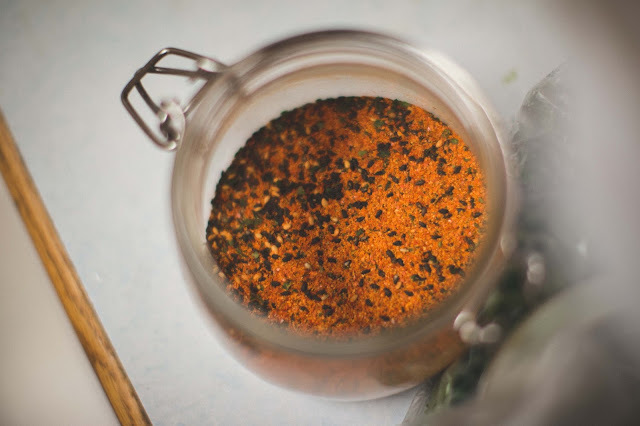 Togarashi: Also known as Shichimi. This is a Japanese spice blend, basically a combination of dried chili peppers, sesame seeds and seaweed. You can substitute this out with paprika or simply just chili powder. Fish sauce: you can probably get away with using soy sauce or simply salt. 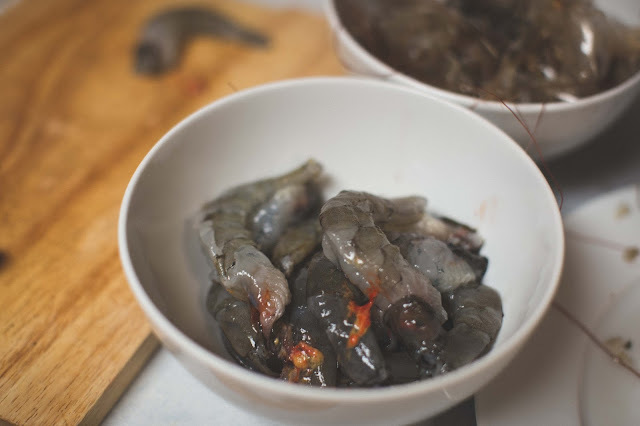 Shrimp: ~one pound, remove head*. When you peel the shell and carapace, save the guts inside the heads aka shrimp mustard (or crab butter or lobster tamale in the case of other crustaceans). The shrimp mustard is extremely flavorful, and your curry will taste a lot more bland without it. Also, you can save the shells of the peeled shrimp and boil them to make shrimp broth (which you can use later). 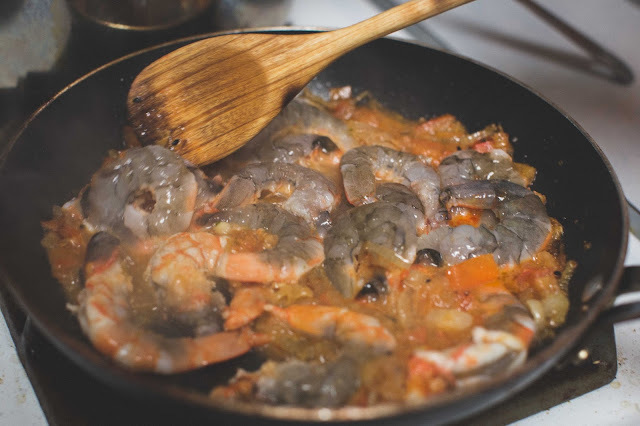 Because shrimp is heavily utilized, the quality of the shrimp makes or breaks this dish. 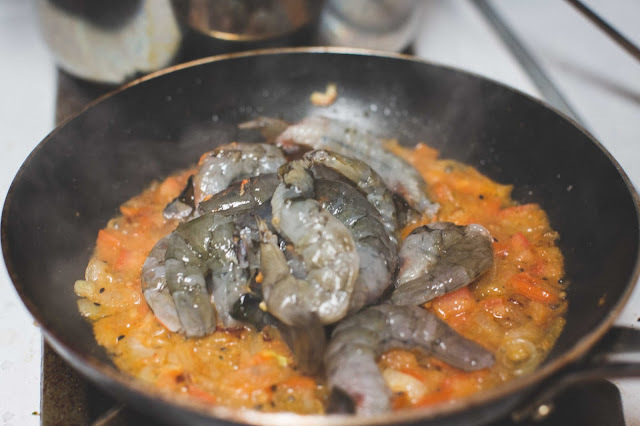 We recommend that you buy fresh shrimp from trusted and sustainable sources. 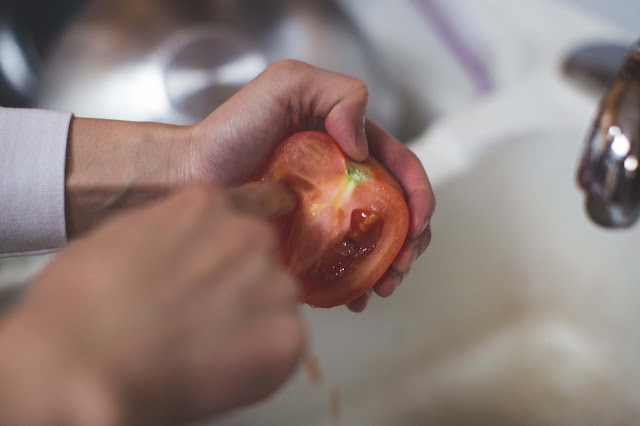 Take the seeds out of the half tomato and slice/dice it. 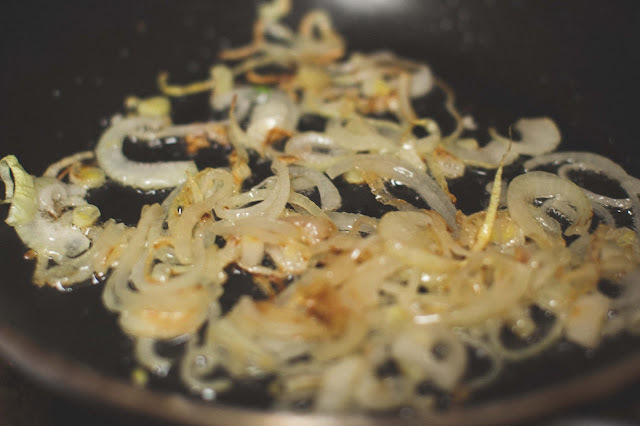 Add the sliced half onion into a pan. Sautée on medium head until browned. Add togarashi to spice it up! 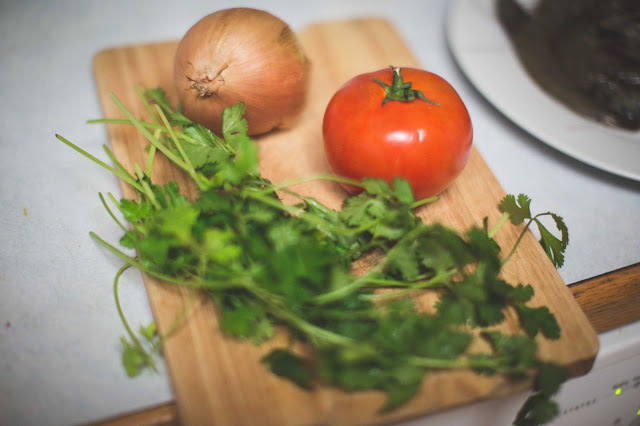 Of course you can use water, or chicken/vegetable broth, but the flavor won't be as pure as shrimp broth itself. 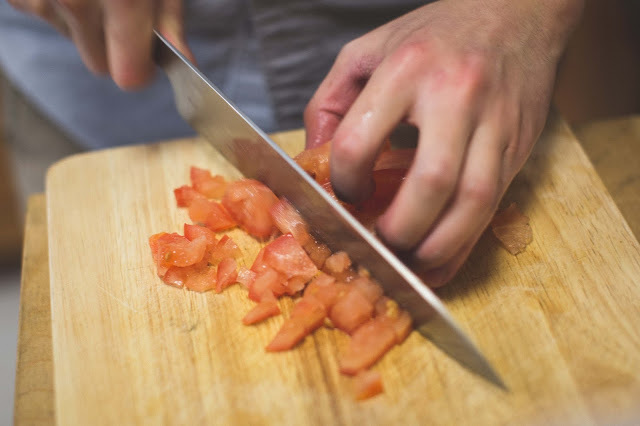 You already have those peeled shrimp shells lying around, so instead of throwing them away, why not use them to add more flavor to the dish? Add 1 tsp of fish sauce. 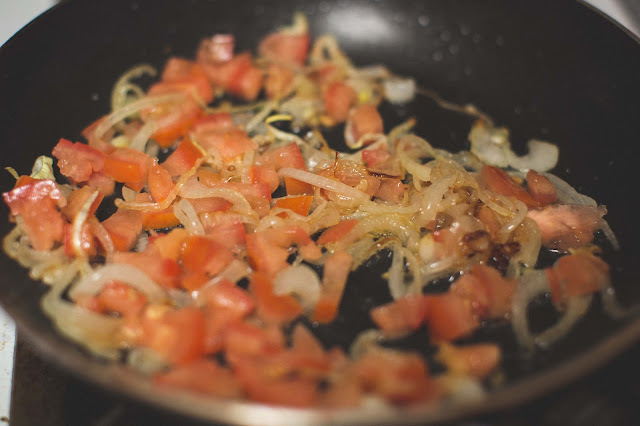 The purpose is to add more saltiness and umami into the dish. 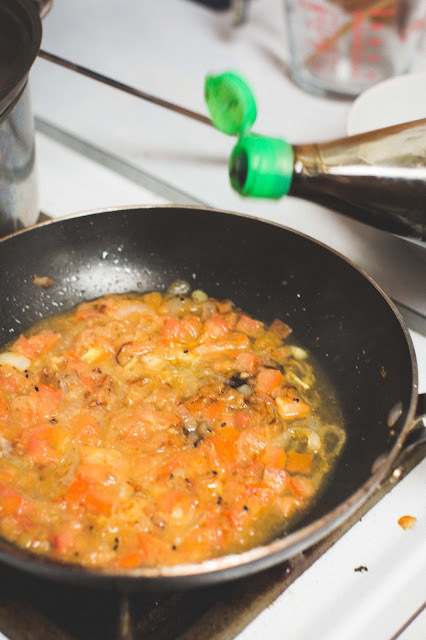 As said, you can substitute fish sauce with soy sauce or salt, to taste. Because the quantity we add here is very small, it won't make a big difference! 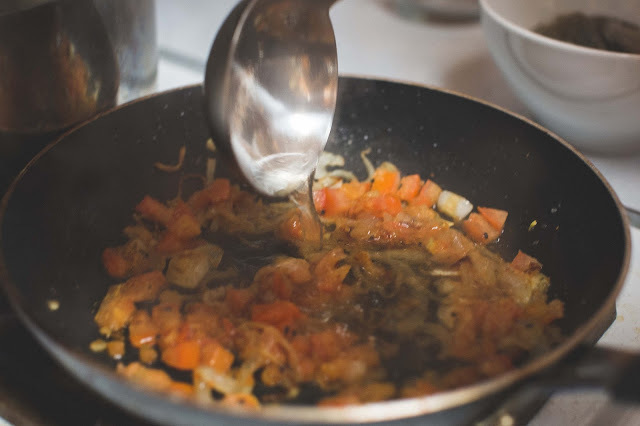 Let the curry simmer until all the onions are softened and almost "dissolving," you can do this step on low heat or medium-high heat if you are in a rush. Add the shrimp and watch it turn red! Why do crustaceans turn red when cooked, you may ask? You can check out this article. 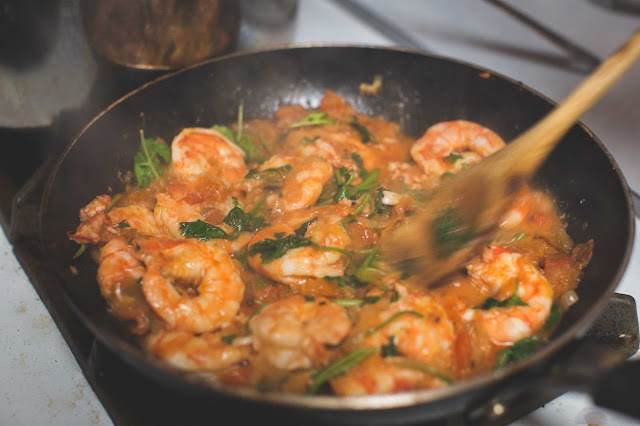 When the shrimp is fully cooked, add the chopped cilantros and squeeze some lime juice! Stir and serve. Your one-pot Burmese shrimp curry is ready for you!